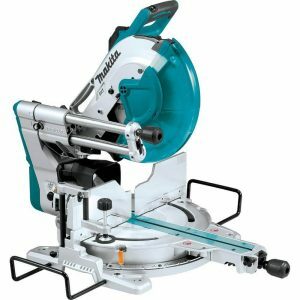 Makita Miter Saw Review & Comparison – Which Makita Saw is Best For You? Makita began as an electric motor company over a century ago. Now they are a global brand—known for innovation in engineering—with their products in more than 40 countries. 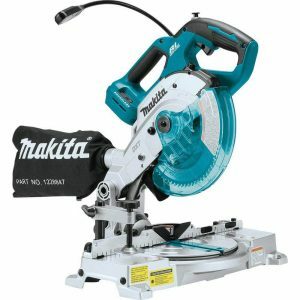 Over the years Makita has developed a reputation for high-quality, long-lasting power tools. Below, you can explore their selection of miter saws for yourself. The LS1216L is for anyone who wants a smooth and powerful miter saw engineered for effortless accuracy. This miter saw has been stamped with Makita’s DXT (Deep and Exact Cutting Technology) branding. Makita defines DXT as “a series of features that give Makita miter saws more cutting capacity and out-of-the-box accuracy for superior cutting performance”. The LS1219L comes ready to be put to work with a 60T carbide tipped stock blade. As far as “out-of-the-box accuracy” goes, it depends on what you want to use it for. As a chop saw, this miter saw is pretty much good to go right from the box. For cuts that require more precision, some minor adjustments may need to be made. The Makita LS1016L is an answer to the increased demand for unique approaches for advanced accuracy improving designs. You could definitely call this miter saw unique. It’s got a patented 4-Steel Rail Sliding System, 6 linear ball bearings, and built in but adjustable laser. This saw leaves little to be desired and lots for your friends to be jealous of. The XSL06PT is the same model saw as the XSL06Z, but the XSL06PT comes with two 18V LXT® Lithium-Ion 5.0Ah Batteries and a 18V LXT Lithium-Ion Dual Port Charger. 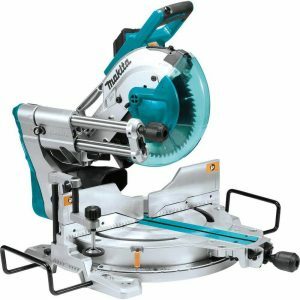 So if you want a powerful, accurate, and cordless 10″ miter saw but want to save money, take a look at our review of the Makita XSL06Z. The XSL06Z is the same model saw as the XSL06PT, but the XSL06PT comes with a battery kit. 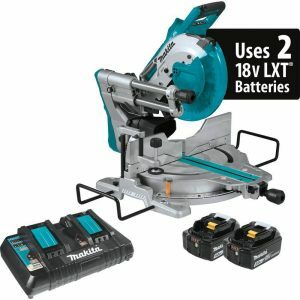 So if you want to purchase an accurate, powerful, and cordless 10″ miter saw—as well as two 18V LXT® Lithium-Ion 5.0Ah Batteries and a 18V LXT Lithium-Ion Dual Port Charger, take a look at our review of the Makita XSL06PT. The Makita LS1040 is a miter saw that you can rely on to make clean, precise cuts every time. This saw doesn’t try to wow you with frills, but instead provides a smooth cut consistency you can count on. You won’t find sliding rails or any overly convenient precision adjustment features, but what you will find is a sturdy power tool capable of making great cuts again and again. The LS1019L upholds the Makita reputation well. 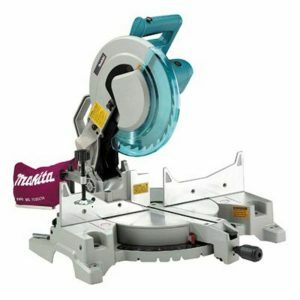 This powerful and precise miter saw was engineered with a specific focus on simple-to-execute accuracy. 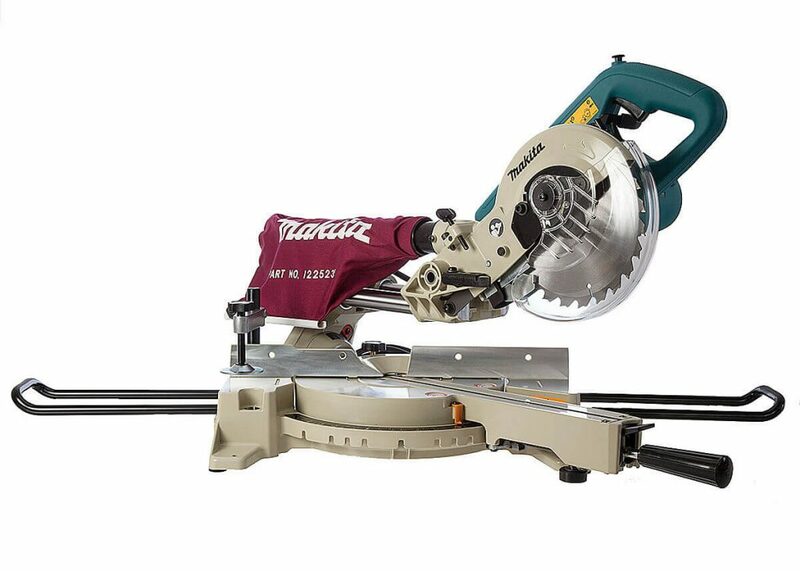 If you’re a woodworker looking for a versatile 10″ miter saw, keep reading. The Makita LS1018 is one of the brand’s newer model miter saws. The LS1018 was engineered with a focus on accuracy and portability. 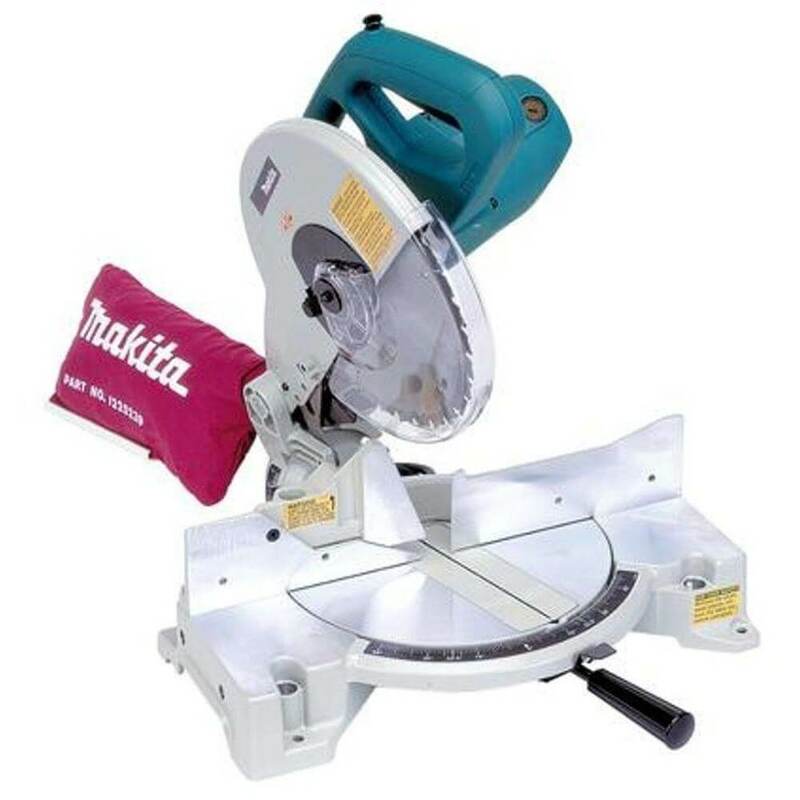 With the innovative linear ball bearing system was designed to aid in precision and the lightweight design, this miter saw provides performance and convenient portability. 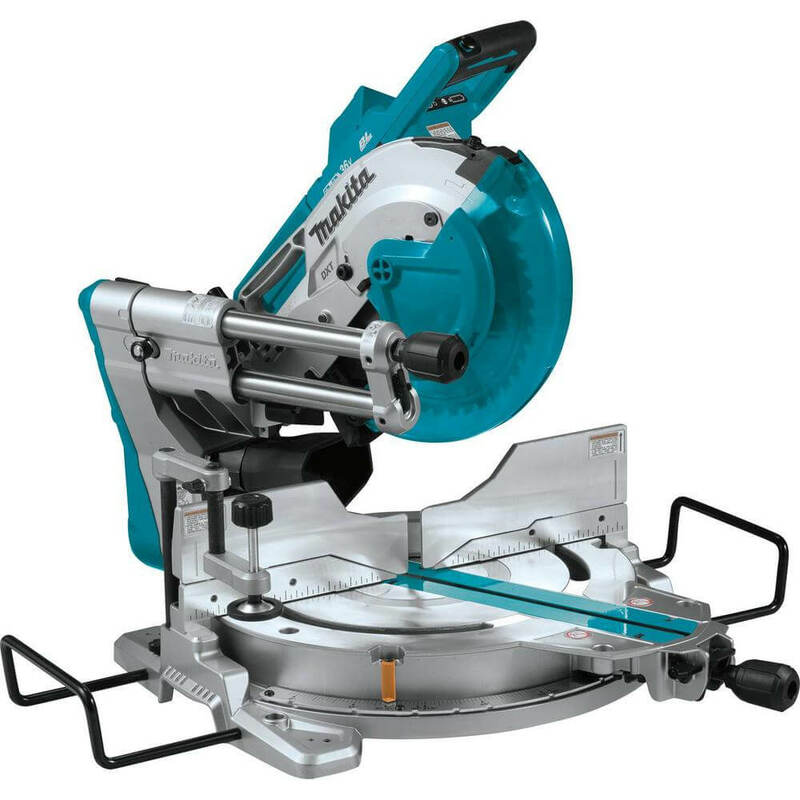 This portability is especially notable for a 10″ miter saw. 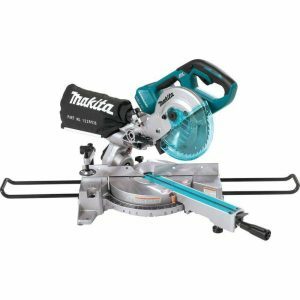 With the XSL04ZU, Makita has taken one of the most portable AND powerful miter saws on the market (see our review of the Makita XSL02Z) and given it a 10″ blade plus lots of features. This cordless miter saw is a new addition to Makita’s 18V LXT® series, a series of compact miter saws powered by industry-leading battery technology. 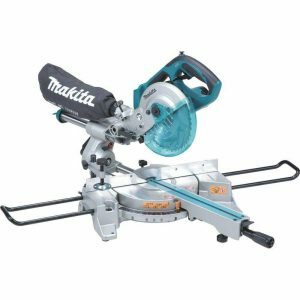 Craftsmen looking for a compact, versatile, and affordable miter saw from a reputable brand should take a good look at the Makita LS0815F. Although this miter saw is extremely portable, it doesn’t sacrifice power or accuracy. 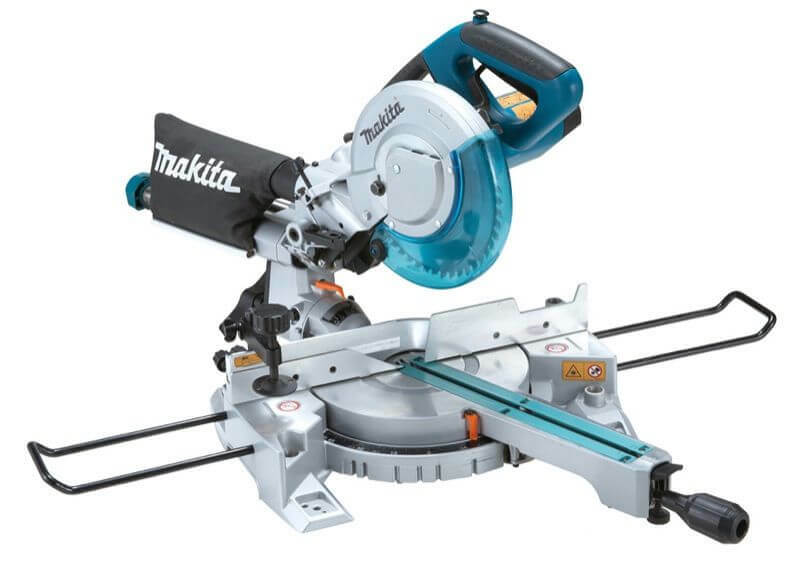 With the XSL02Z, Makita has taken one of the most portable miter saws available on the market (the Makita XSL01Z) and made it twice as strong. 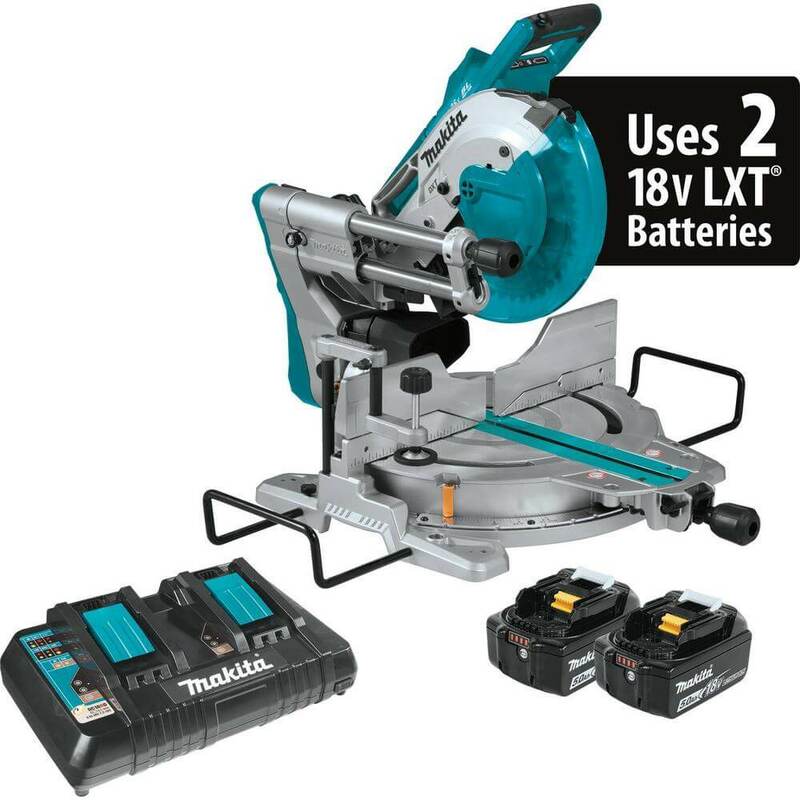 This cordless miter saw is part of Makita’s 18V LXT series, which means it is powered by industry-leading battery technology. 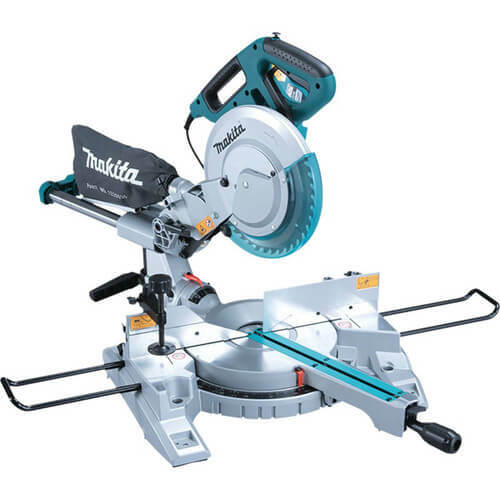 The Makita XSL01Z is one of the most compact and portable miter saws on the market. As part of Makita’s 18V LXT series, this cordless miter saw was designed for increased performance and extended battery life. It features a direct-drive motor and four steel rail sliding system with four linear ball bearings engineered for increased accuracy. 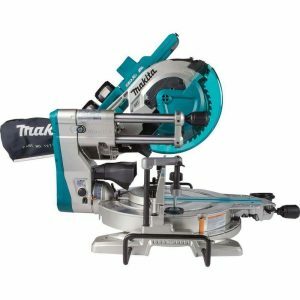 If you are looking for a saw that has a more compact design, weighs less and has great portability, the Makita LS0714 might be for you. This 10 Amp sliding miter saw fuses together accuracy, performance and power to give you a smooth finish on all your carpentry, flooring, molding and trimming tasks. Makita continues to extend their LXT® Lithium-Ion category of cordless power tools with the XSL05Z, a 6-1/2″ miter saw. The XSL05Z is one of the most portable cordless miter saws on the market today. Although this is just about the smallest blade size option for a miter saw, don’t think that it can’t handle it’s fair share of cuts. 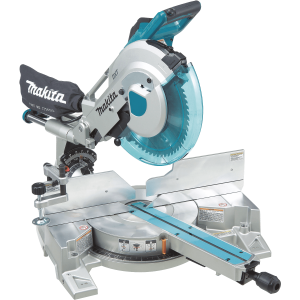 If you’ve looked through Makita’s offerings but still haven’t found the perfect miter saw for you, no need to worry because there are plenty more options. You can compare and contrast all of the best saws on the market with our comparison chart. Or see the full offerings of competing brands like Bosch, DEWALT, Milwaukee, and more! Blade Sizes — any — 10" 12" Less Than 10"